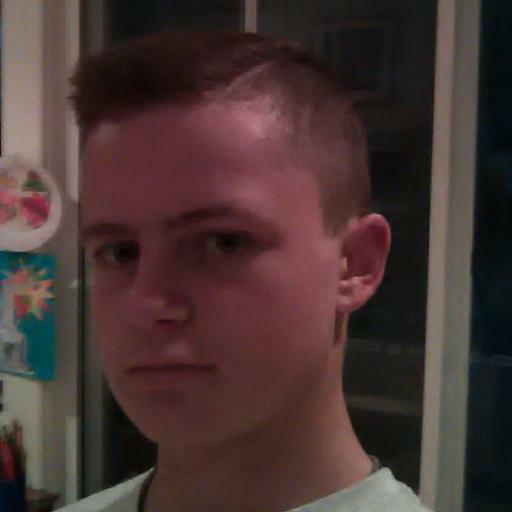 Previously a TAFE student of journalism, lives in Sydney, writes from time to time, rugby and cricket player, plenty of other sports as well. Desperate to rewrite their poor history vs the Hurricanes, the Sunwolves will gear up for an exciting Friday night clash in Tokyo. Join The Roar for live scores and a blog from 8pm AEST. The Blues are chasing their fifth straight win, when they take on the Chiefs at FMG Stadium, in the Battle of Bombay. Join The Roar for live scores and a blog from 5:35pm AEST. 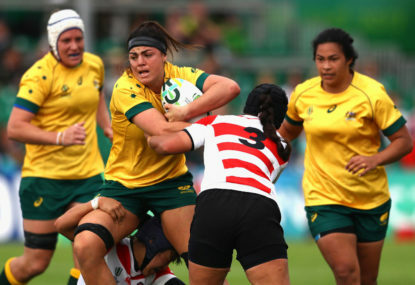 Even after its second – and best – season, Rugby Australia shouldn’t be in any rush to expand the Super W tournament. 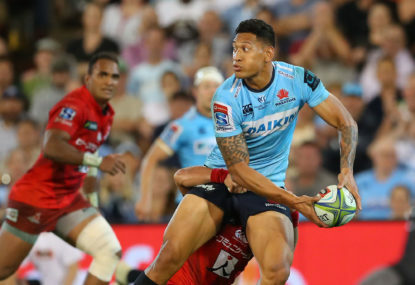 Coming off an embarrassing home loss to the Sunwolves, the Waratahs will look to get back to winning ways when they travel to Auckland to face the Blues. Join The Roar for live scores and a blog from 5:35pm AEDT. 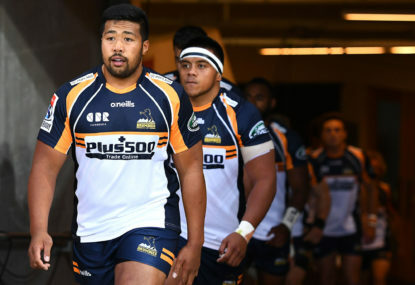 The Brumbies will be looking to replicate the Waratahs’ success against the Crusaders, when they meet the defending champions in Christchurch. Join The Roar for live scores and a blog from 3:15pm AEDT. Australia will look to clean sweep the series with a win tonight, when they play Pakistan tonight in Dubai. Join The Roar for live scores and a blog, from 10pm AEDT. The second game of Rapid Rugby’s Showcase Series took place on Friday, and it convinced me that this optimistic competition can work. 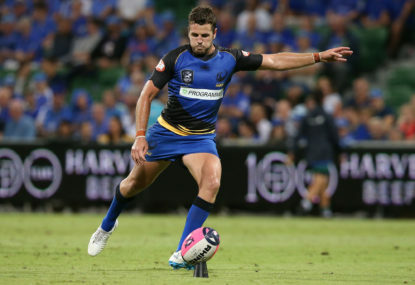 The Western Force formally begin their Rapid Rugby Showcase tonight when they host the South China Tigers at HBF Park in Perth. Join The Roar for live scores and a blog of the match, starting from 7:40pm local time, 10:40pm AEDT. 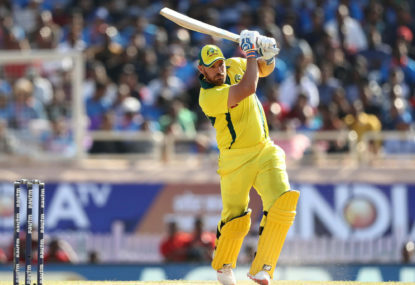 Match result: An unbeaten 153 for Aaron Finch has delivered Australia an eight-wicket victory against Pakistan, taking their series lead to 2-0. 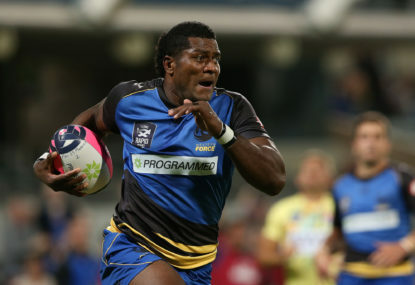 Rugby fans will get to see ‘Rapid Rugby’ in action tonight as the Western Force host a World XV at HBF Park in Perth. Join The Roar for live scores and a live blog of the action, starting from 10:40pm AEDT. 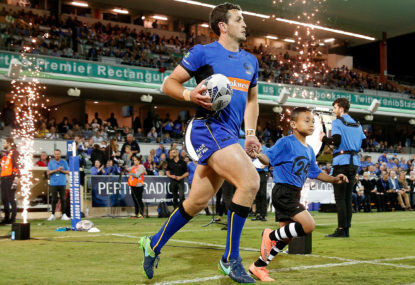 Before I mention the NRL’s massive Thursday night viewing numbers – a time-slot which will be exclusively theirs for most of the league season – it has to be asked: where have all the prime time games gone? 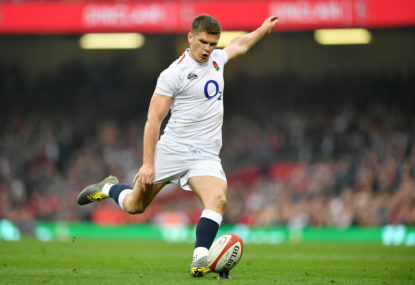 Match result: England and Scotland have played out one of the more remarkable Test matches of the year, recording the highest-scoring draw in the history of the international game. Match result: The Queensland Reds have defeated the Sunwolves, 34-31, in a see-sawing match in Tokyo. Four rounds into the new season, and we are starting to see some trends. Australia kept the series alive with a barely-there win over India in Ranchi, now they need another victory to level the series at two-all, heading into the final match. Join The Roar for live scores and the blog from 7pm AEDT. 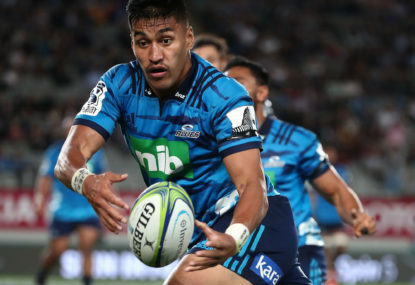 Match result: The Blues got their first win of the 2019 Super Rugby season on Saturday, knocking over the Sunwolves by eight points at North Harbour Stadium. 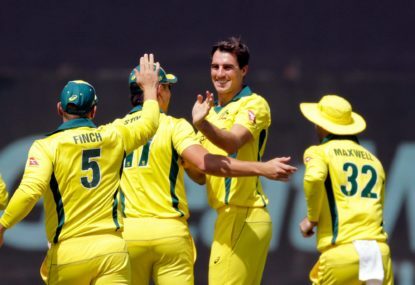 Australia will look to pull off their first ODI victory of a tough series in India during the third match in Ranchi, with a loss ensuring the tourists will be out of the hunt for the trophy. Join The Roar for live scores and coverage from 7pm (AEDT). I agree with everything you’ve said there, Mary- and it was a shocking sentence for Ristevski, but I’d like to note that his defence disrespects himself as much as anyone. Since when did players need to be told that violence against women wasn’t ok?! His lawyers portray him in a very bad light by claiming that without training – which he undoubtedly has had – he can’t tell the difference between right or wrong. 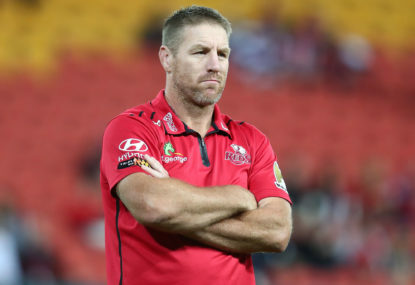 A few people pointed out on twitter that they’d never gone through NRL programs, yet they know it’s not ok…as Luke Lewis said: “You either have morals or you don’t” or words to that effect. A-league is watched less than rugby, check Mediaweek on twitter. 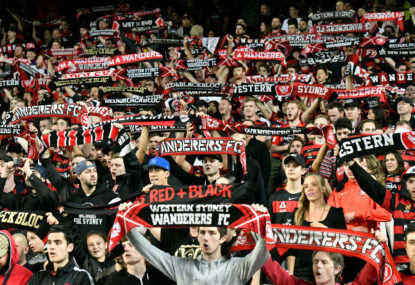 Crusaders seriously considering name change after admitting current branding "no longer tenable"
Canterbury United is a bit soccer-y tbh, but I get what you’re trying to do re the message. This is more than important, this is crucial! But that’s good they’re doing that. I’m not sold on the No kicking from inside the 22 – I’d change it to maybe a 15 metre line, which would cull a lot of the kicking. The idea of it is to obviously let teams clear when they’re near their own line, but 22 metres out is a lot. You could make it 15, or 10, and still retain that. Shot clock for scrum is incredibly hard to police, especially given how players are often getting bandaged for something in the lead up. Beaches United RLFC? Ok now that sounds like the round ball code. Beaches Suns? Beaches Boys? All of these names are so fitting. How about East Coast Working Class? Heard from one of the Fox guys that it was a realistic bet that the Force would be back in the fold…who knows. Yeah I suppose – although having a team winning the championship, yet behind on the points tally is weird. Surely though, T-man, if you clinch the grand slam, you should get the title. That’s really what the rule is there to enforce. Bonus points contribute to the other ladder positions. I think- and literally no-one agrees with me, that golden conversion would be good. Eg: score a try, ok, up by 4, but convert that and you win. I don’t mind seeing field goal attempts, but if something similar happened to what took place in the 2015 GF, where the Broncos didn’t even get a chance really, I don’t like it. I’d like to see people not be shocked when a player like Fifita chooses country over state. In almost any other sport, it’d be run-of-the-mill, but not in this one. That being said, State Of Origin and Tests shouldn’t clash, albeit it’s hard to find room in the season. What should the ARLC be focusing on right now? Ironic that there’s not depth for five men’s teams, yet there’s depth enough for five women’s teams. Word about is that you guys may be returning in SR come 2020. Season 2 of Super W has arrived! How? Sure, compress it, but the same amount of games in a shorter season? How is this doable, other than overlapping games or double headers starting at 4pm on the day-to-day. I’d have it as low as a round robin, or maybe the round robin plus another derby game like they did before last season. 10 per season would be a max, even last year, crowds were starting to dwindle. Now they’ve nose-dived. 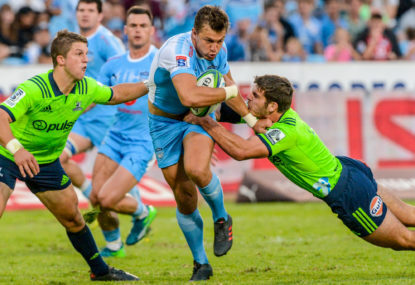 I think often in Rugby in particular we’re a bit lazy with previews, just pretty much going with last season’s form, but this one is very comprehensive. 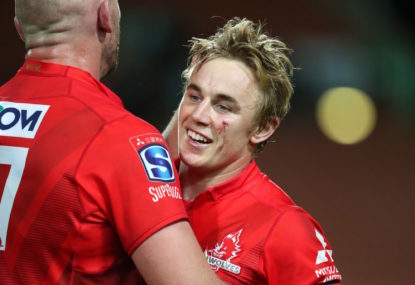 I remember a game in particular – it might have been against the Lions at home – where the Jaguares’ back three landed the ball in touch at the Lions 10, from their own 22, almost every time and it severely hamstrung their opponents. Certainly one of the more interesting teams to watch. “but then CA started up the BBL and instantly relegated the A League to a secondary code.” Trust me Christo, in two years the BBL will be relegated to a secondary code, at the way CA are running it. Thanks for the reply, Mary. AFLX annoys me a lot; the whole tournament structure, the rule changes, etc, but if people like it, cool. It is frustrating when the two competitions take audiences off each other – that being said, the whole point of it is to get teams up to scratch in preseason, not to be an offseason treat, and AFLW to be fair doesn’t leave much room in the preseason. Certainly in terms of advertising, I’ve seen nothing about AFLW. Re: conferences, I watch a lot of rugby and NFL, and conferences have their pros and cons. People will talk about the draw and so on, but the draw is never fair anyway. Conferences certainly can reduce travel costs, travel time, jet lag etc. Obviously if all the in-form teams are in one conference, no wildcard positions leaves no margin of error. See how we go, I guess. I can understand the reasoning behind why AFLX exists – competitive, fast preseason games with something on the line, I guess, but certainly a proper women’s competition, which we already have, should rank before an early year gimmick. On AFLW itself, how the conference system pans out will be a big talking point, but more often than not the cream rises to the top. Not every Super W game is (at least last year) broadcast live on Fox, some were delayed and broadcast on rugby.com.au, but otherwise a good article. How does women's sport coverage weigh up? Yeah, SOK has been pretty good, but the Sixers have played the equal most games from memory. One of Hughes, Henriques or Silk need to cash into the runs. I think the Strikers, Renegades and even probably the Thunder are ahead of them, and I know I wrote them off a few days ago, but last night shows they have a chance. Think you’re being very kind to an unconvincing (read: shockingly bad, at times) Sixers team. They’ve had a collapse of sorts almost every game, and their bowling relies on an inconsistent Sean Abbott and the in-form Tom Curran. Interestingly, this is exactly the same for the women’s team. Just sub in Perry, Healy and Gardner and you have a big problem should one get out. Brisbane tend to rely on McCullum and Lynn, and the former hasn’t exactly been on top of his game. From memory he made 16 from his first three innings. Better in the islands than against some RA XV or NRC All Stars, I’d think.